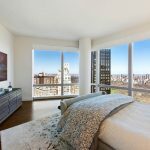 On a picturesque tree-lined block in Carnegie Hill, Philip House, one of Manhattan’s signature condominiums, has unveiled its penthouse collection. 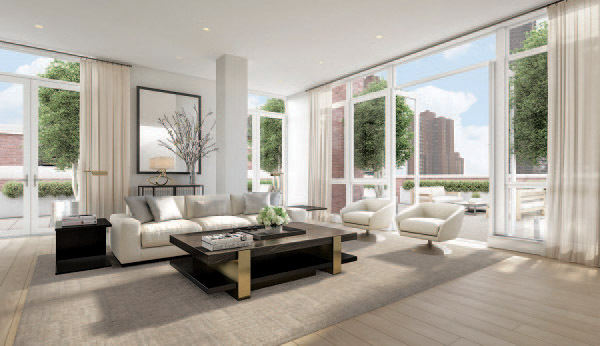 Designed to be both elegant and welcoming, the five duplex penthouses feature vast, light-filled living spaces perched high above one of the world’s most refined neighborhoods. Designed by Alan Rose, AIA, the penthouse feature spacious interiors, high ceilings and large windows to accentuate natural light. 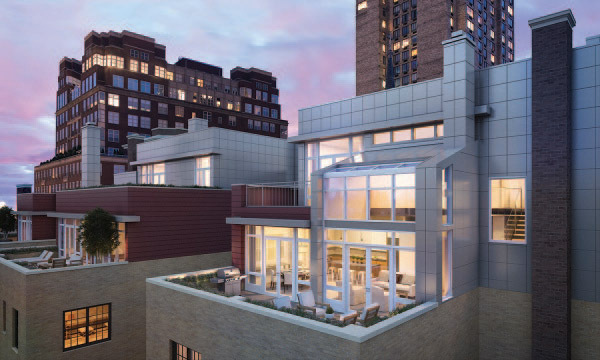 Glass doors open to expansive private terraces that accommodate outdoor dining, entertainment, and relaxation. Interior design by Victoria Hagan celebrates the timeless elegance of classic prewar homes with wood-burning fireplaces, finely crafted crown molding and millwork, white oak floors, and graciously appointed custom kitchens. 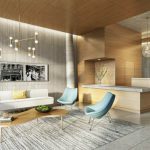 According to Stribling Marketing Associates, the exclusive sales and marketing firm for the building, each penthouse has been designed to allow maximum views and natural light. 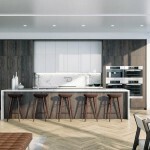 The penthouses range in size from 2,738 to 4,710 square feet, and are priced from $8,450,000 to $16,000,000. The grandest of the five penthouses offers a dramatic sculptural staircase leading to a great room with a fireplace and wet bar that opens to an expansive wraparound east- and north-facing terrace. It also features a master bedroom with two en-suite bathrooms. 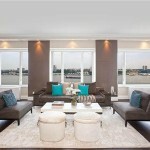 Another penthouse features a master bedroom with a private sitting room and a terrace. A double height living room opening to an east facing roof terrace, allowing buyers to savor the skyline in both serene and entertainment-ready environments. Beautifully designed indoor and outdoor amenities enrich Philip House’s common areas. The extensive rooftop offers western skyline views from the spacious Club Room, as well as a terrace designed by landscape architect HM White. The fitness center features Technogym equipment along with a stretching area. For young children there is a playroom, and for teens, a game room. The music practice room provides a private space where residents can develop their artistic skills. 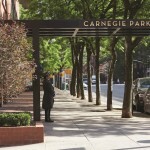 In addition to a 24-hour doorman and on-site building manager, Philip House offers the conveniences of cold storage for perishable deliveries, a bike storage room, and resident storage units.